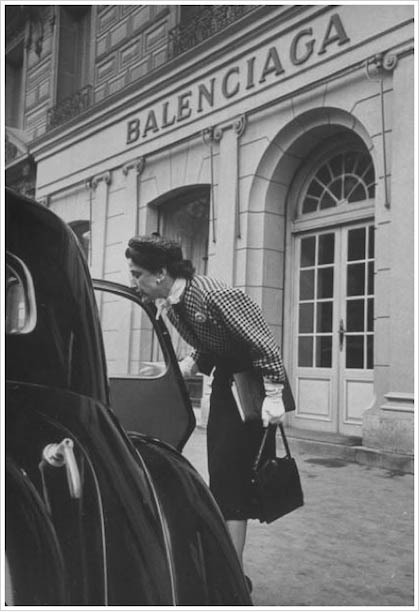 Ballard outside of Balenciaga in March 1951. Photo by Nat Farbman. 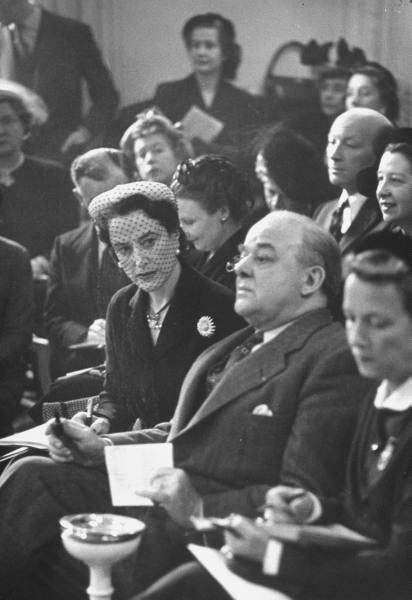 Ballard at a Dior show, March 1951. Photo by Nat Farbman. Ballard at a shoot with photographer John Rawlings, March 1951. Photo by Nat Farbman. One fabulous and hilarious anecdote involves Ballard taking the packing list the Red Cross gave her and modifying it to her own liking. Before reporting for duty she had her maid (!) fill her foot locker with her own list of essentials. Proof that you can take the girl out of Vogue, but you can’t take Vogue out of the girl! A 1948-49 silk Dior dress owned by Ballard, which she gave to the Met. 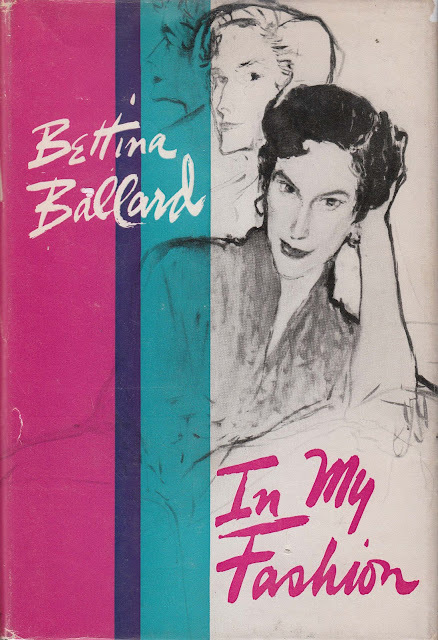 The Red Cross chapters provide a wonderful juxtaposition to Ballard’s experiences as a fashion editor in Paris, and later New York, and elevate her book into something sublime—the deeply felt detailing of what was a remarkable life for a woman in any age. 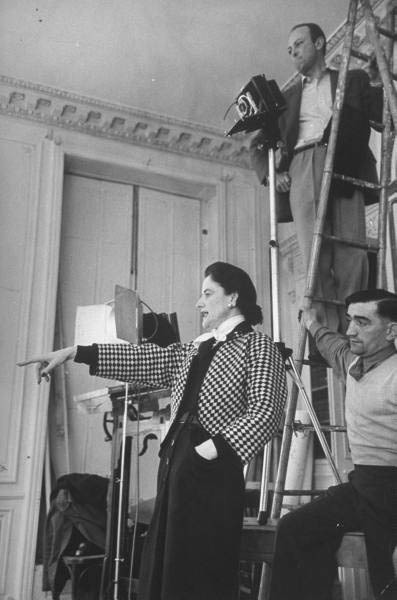 After the war Ballard returned to Vogue, where she was an editor until 1954. She then became a fashion consultant and freelance writer. She died of cancer in 1961 at the age of 56. I wish I could tell you you could just order this book up from Amazon, but I had a difficult time finding a copy of In My Fashion. The Brooklyn Public Library doesn’t have it and it is sadly out of print. After months of searching I was able to snag a copy on eBay for $10. If you ever get the chance I urge you to do the same, this is a fantastic book! Thanks Jill...I will pick this up for my summer reading! have a great day!! Sounds really interesting. I will try to get my hands on a copy. You've peeked my interest. I may have to get that book. I am head-over-heels in love with that black Dior dress. WOW! It is available here in the UK on Amazon but for £££ ! I will look out for a copy on ebay. How is the shopping ban going ? Hello Anon, I have to tell you the shopping ban is going okay so far. I am trying to pace myself for this marathon and it helps that I bought some beauty items and a few things from eBay before I started the ban. I am going to post about one thing I bought pre-shopping ban either today or tomorrow. that dress is driving me crazy - it is just so amazing would love to get one made like that sometime.